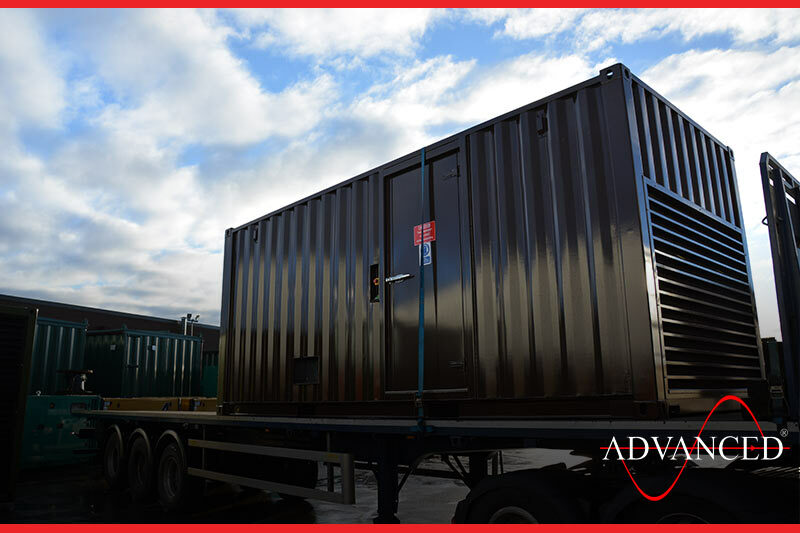 Last Friday the final gas generator enclosure no 8 of 8 left the works – meaning 8 enclosures in eight working weeks from start to finish. 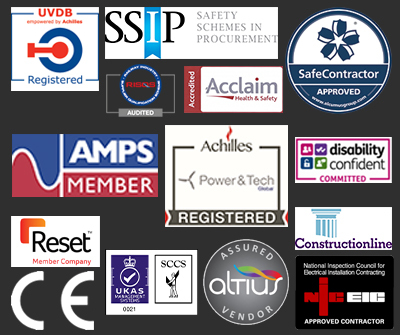 Not a bad accomplishment! 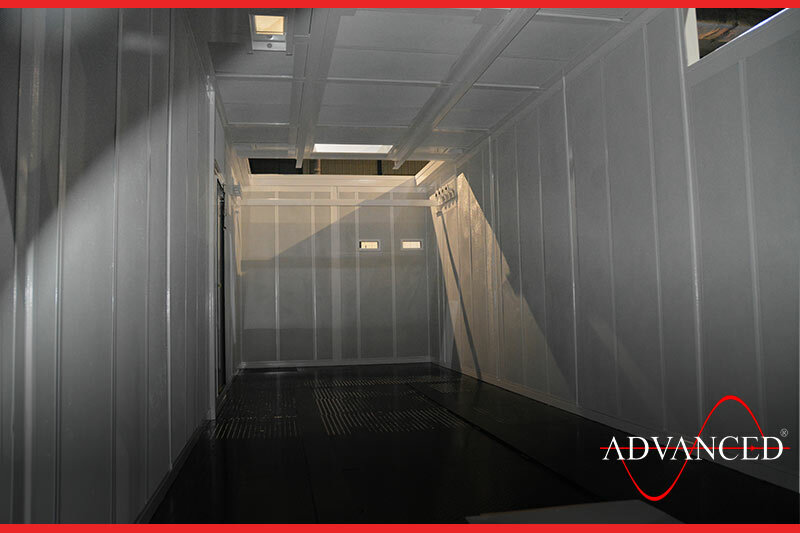 Last but not least the third and final Enclosure along with base extension frames to lift the enclosures off the floor. 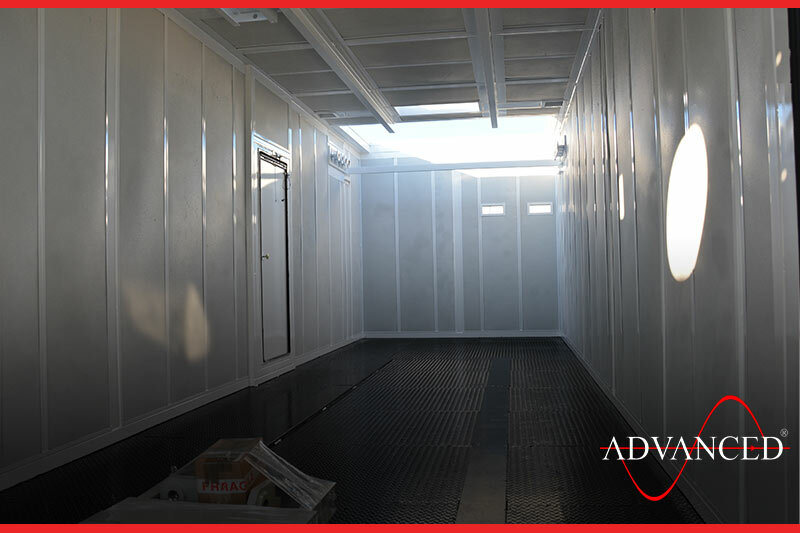 And last but not least the third and final Enclosure along with base extension frames to lift the enclosures off the floor. 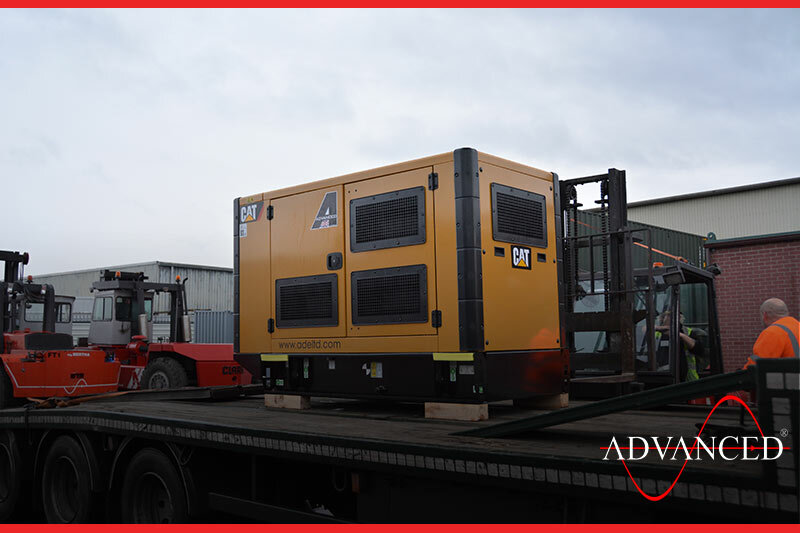 Second switchgear unit for the same Bio mass site leaves the works. 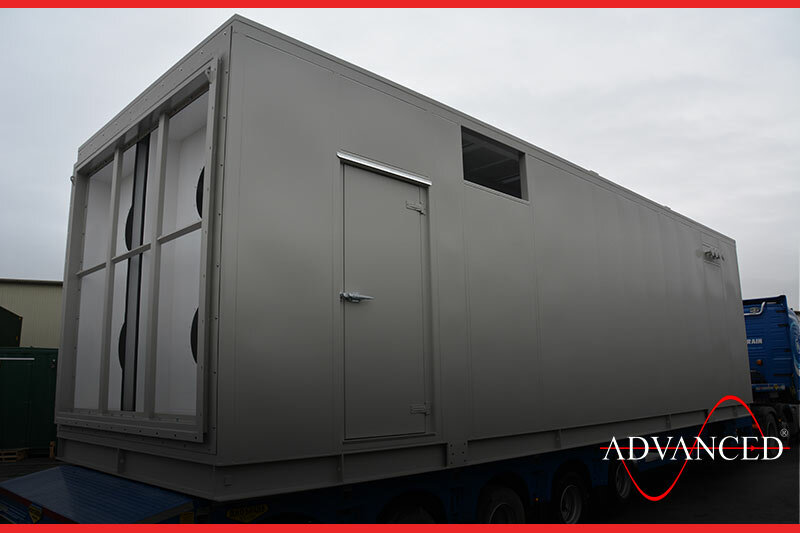 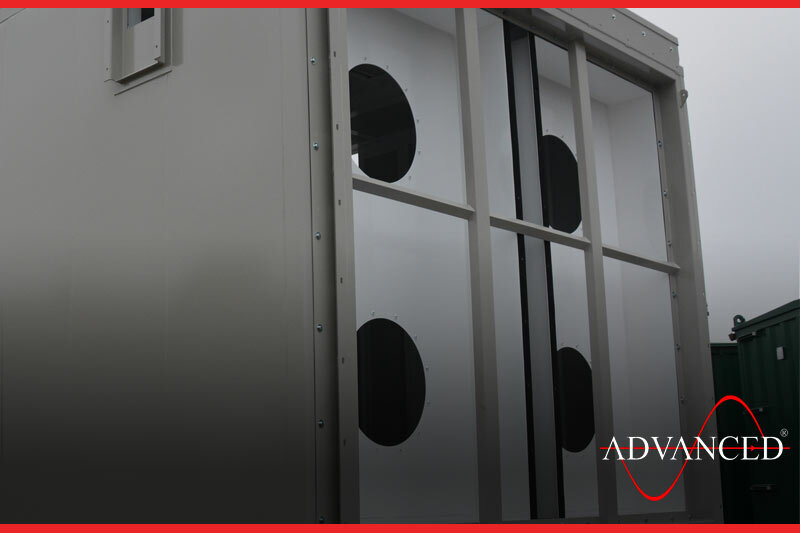 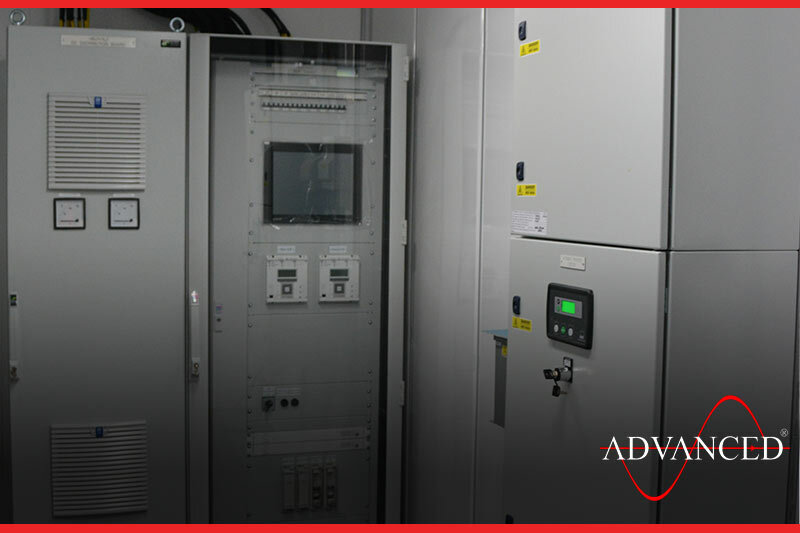 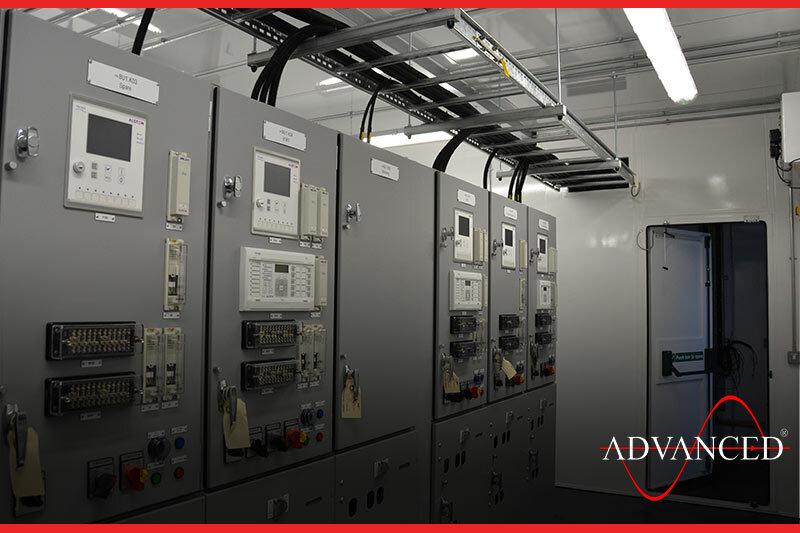 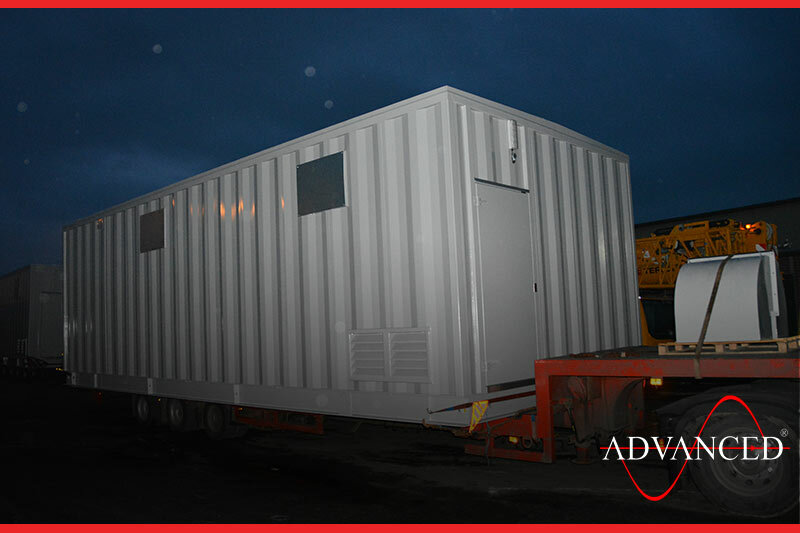 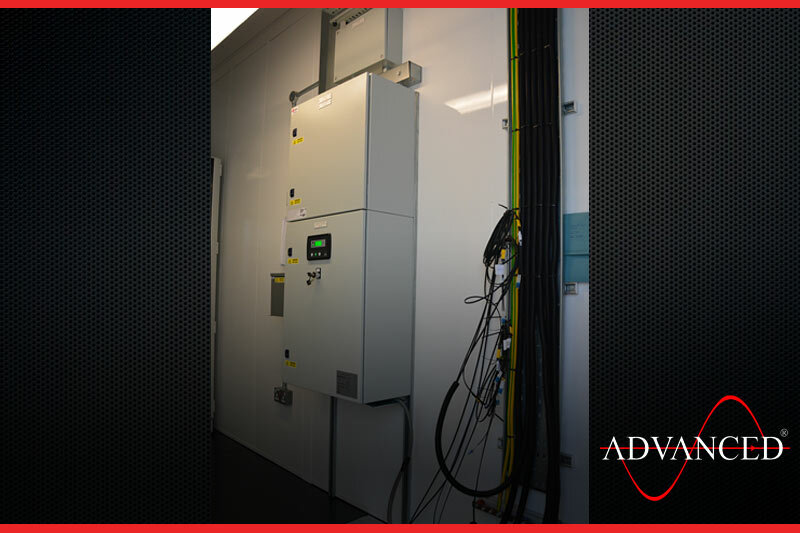 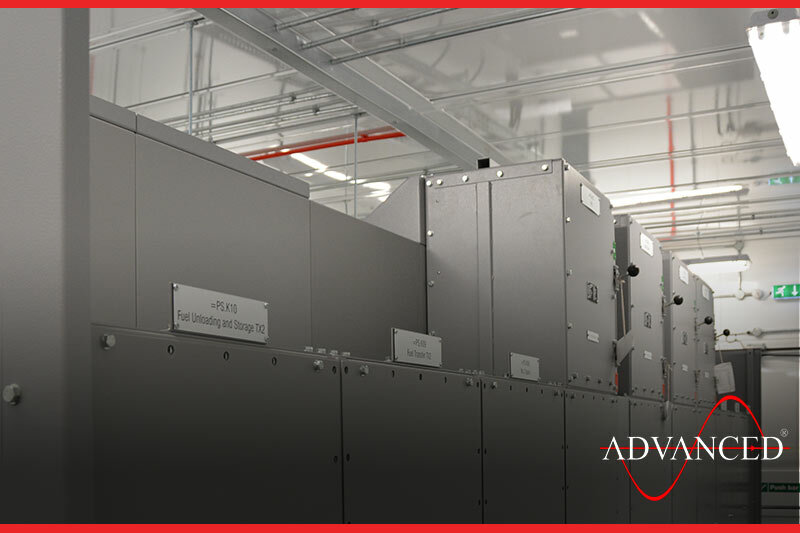 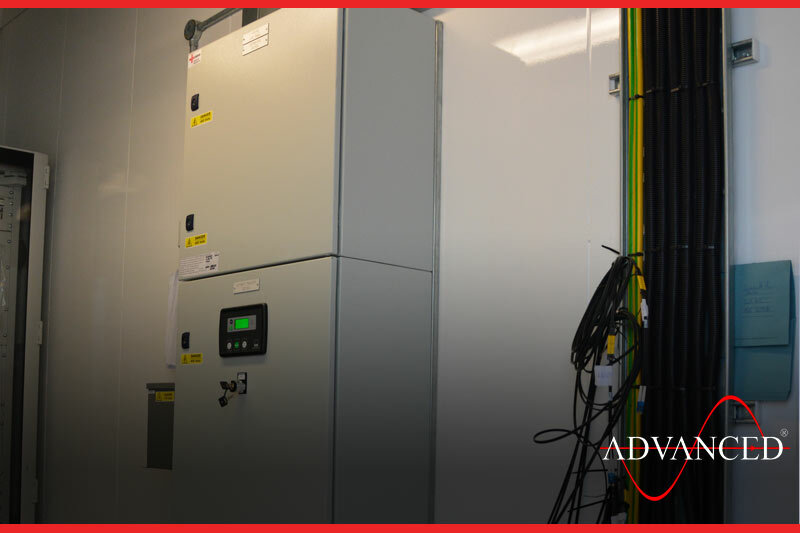 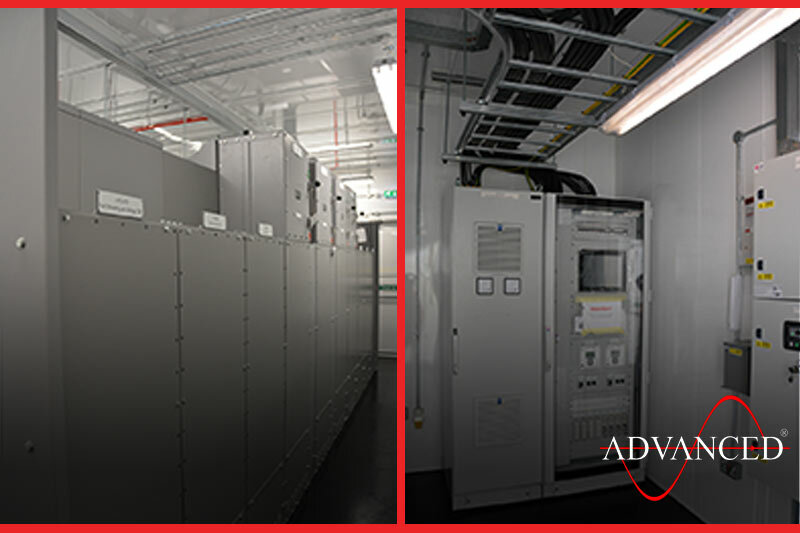 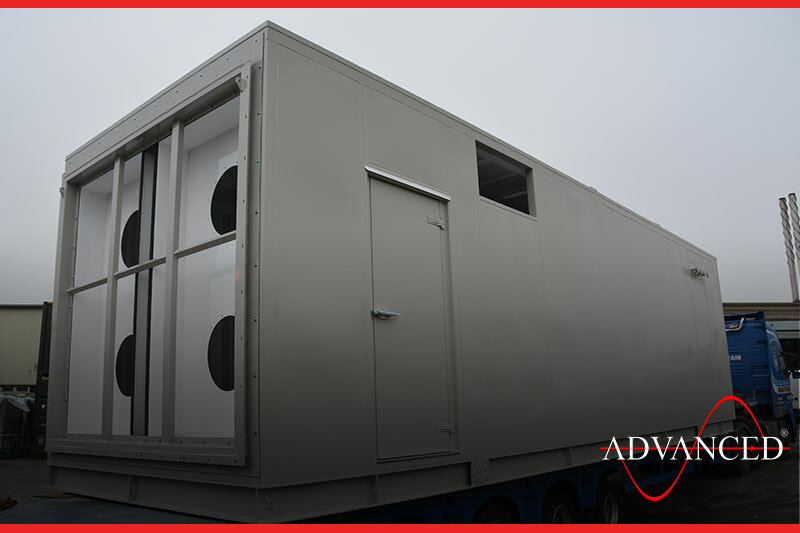 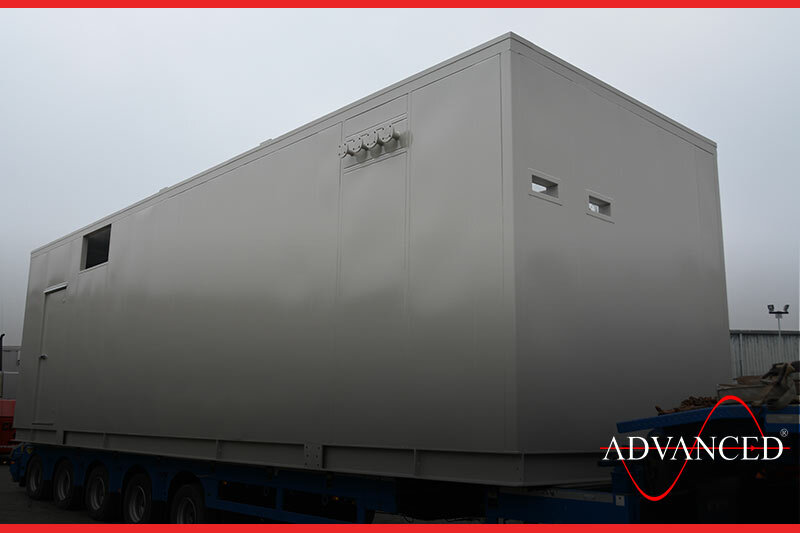 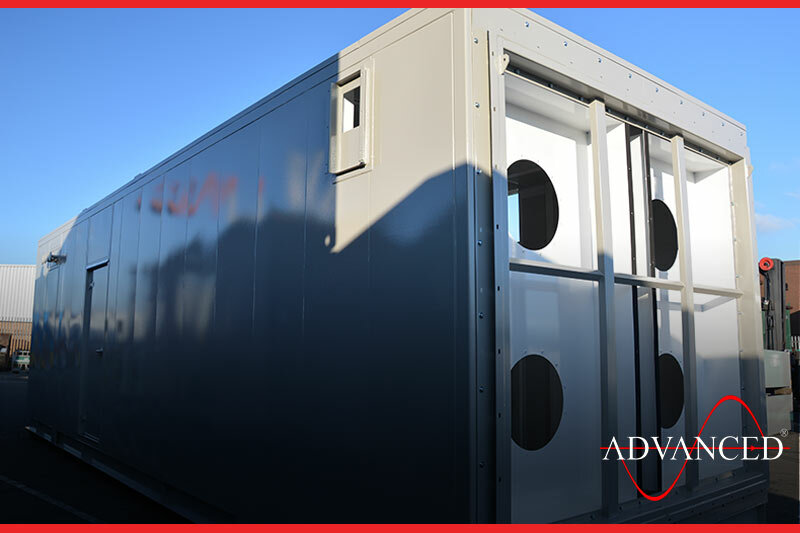 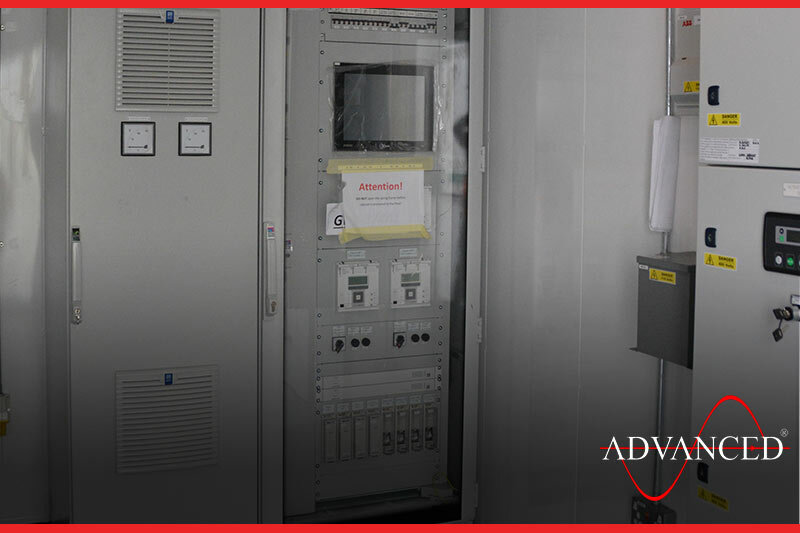 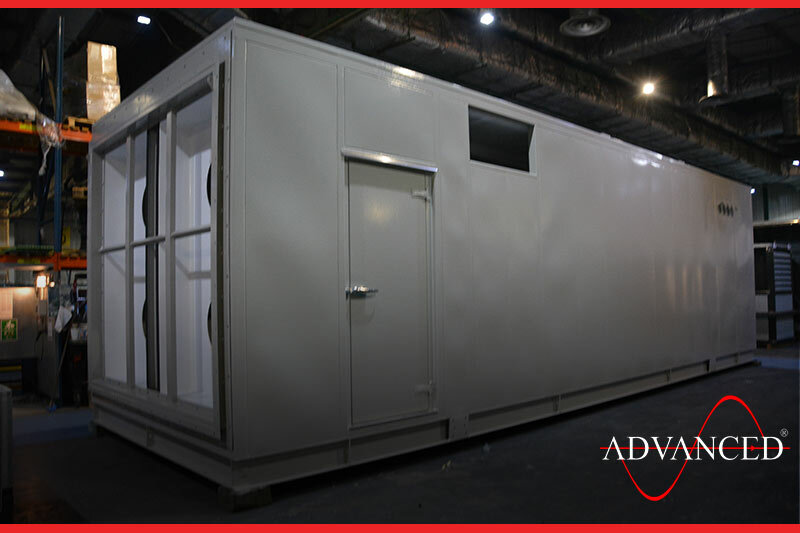 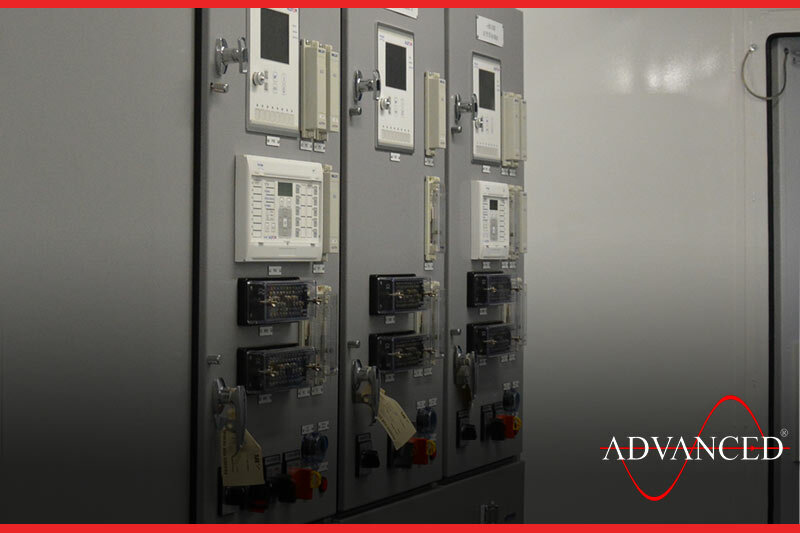 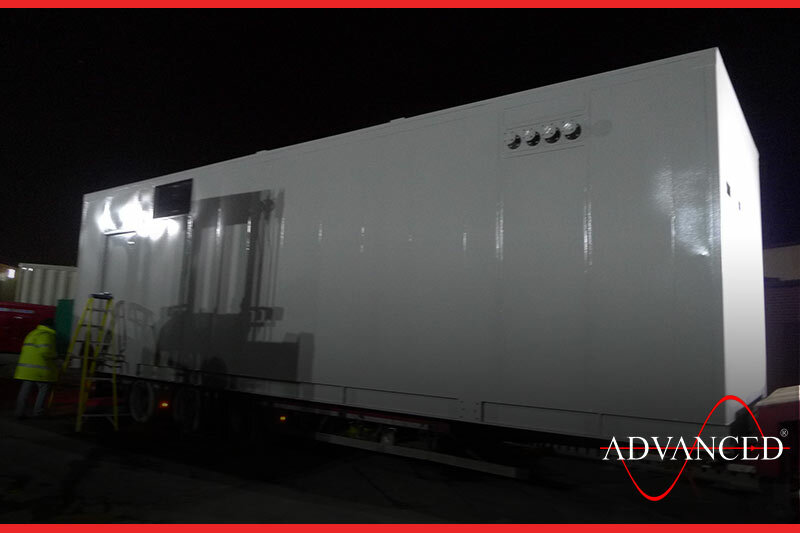 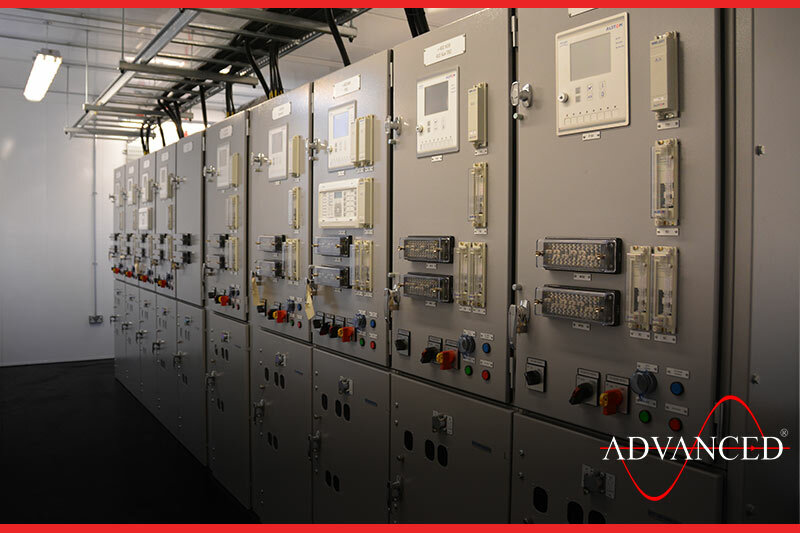 Another ADVANCED designed and built high specification switchgear enclosure is despatched from the works, heading for a Bio Mass power station in the North of England. 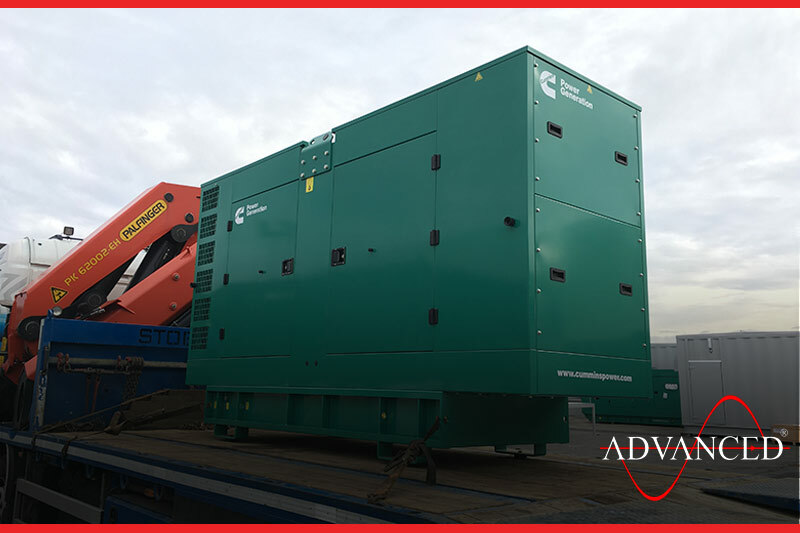 Another Cummins enclosed diesel generator ( 90Kva) is loaded ready for despatch to a Lincolnshire fertiliser manufacturer where it will be used as standby power to the mains. 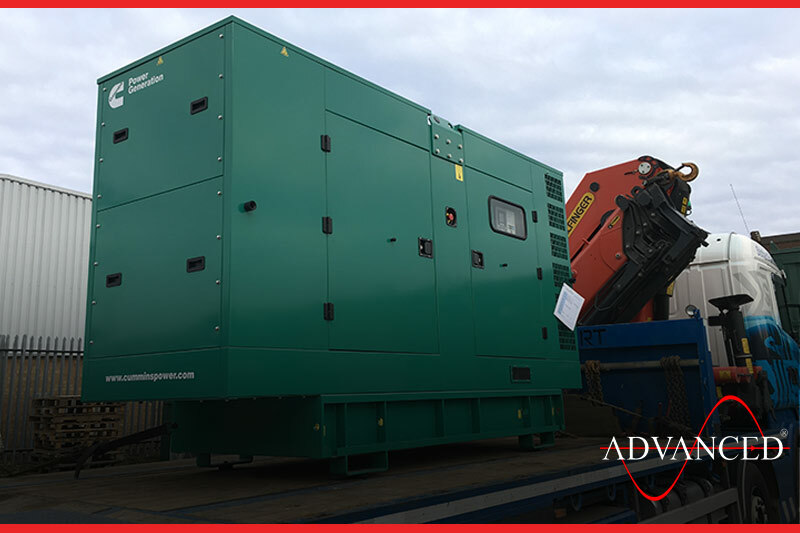 A 66kva enclosed Cummins set being loaded to the clients own transport. 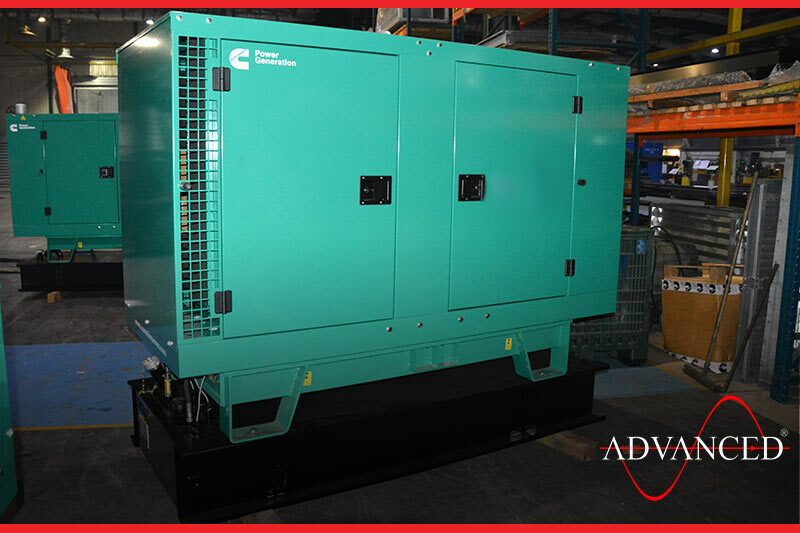 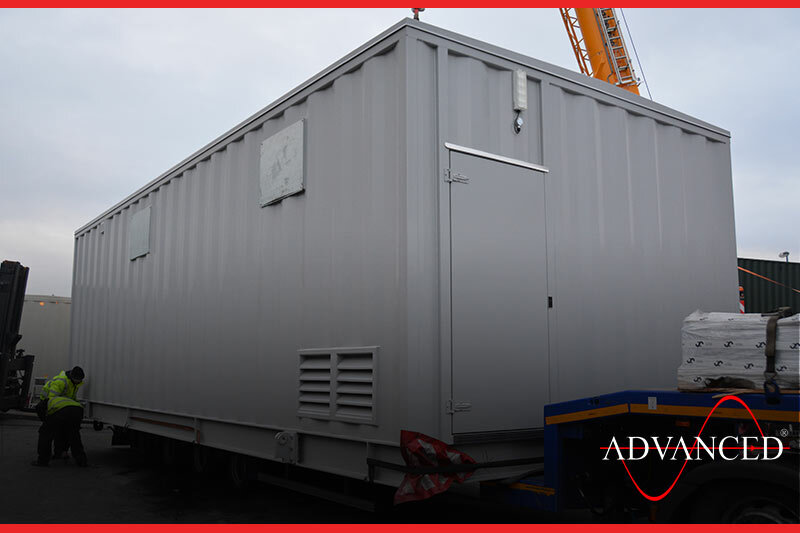 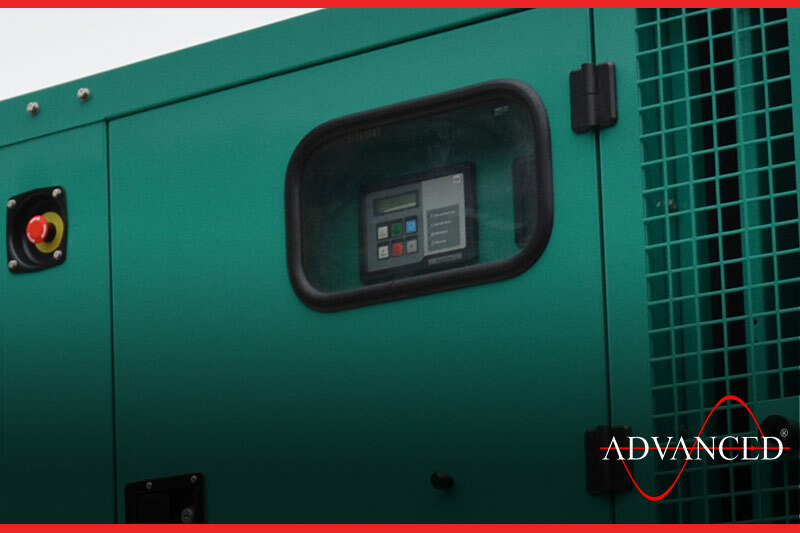 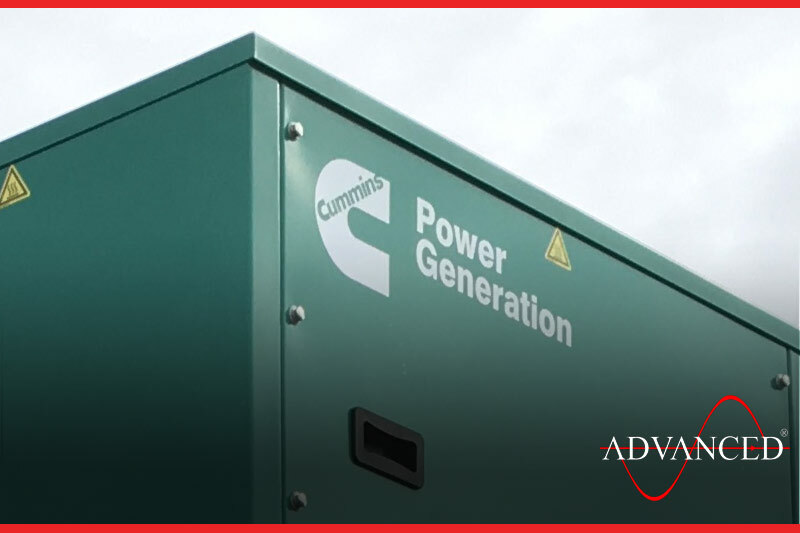 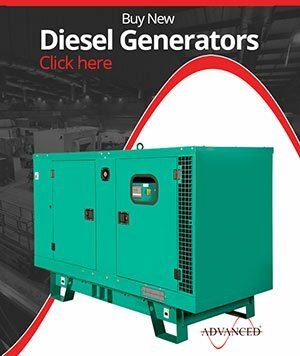 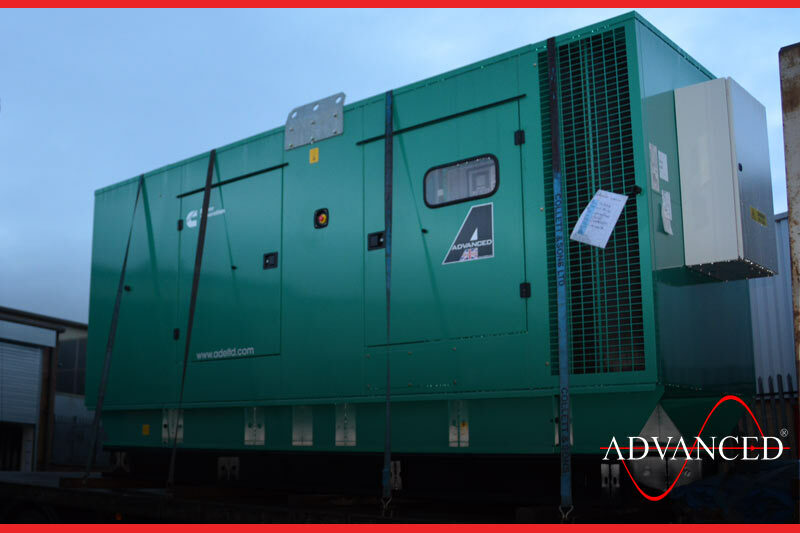 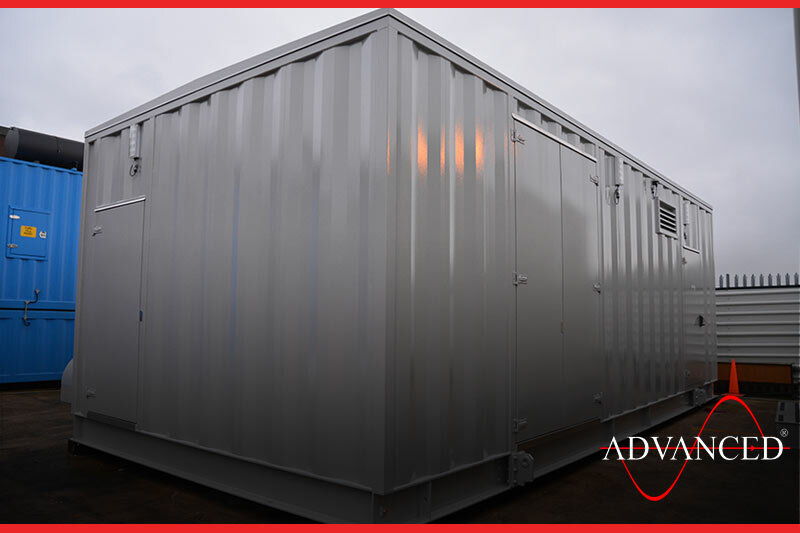 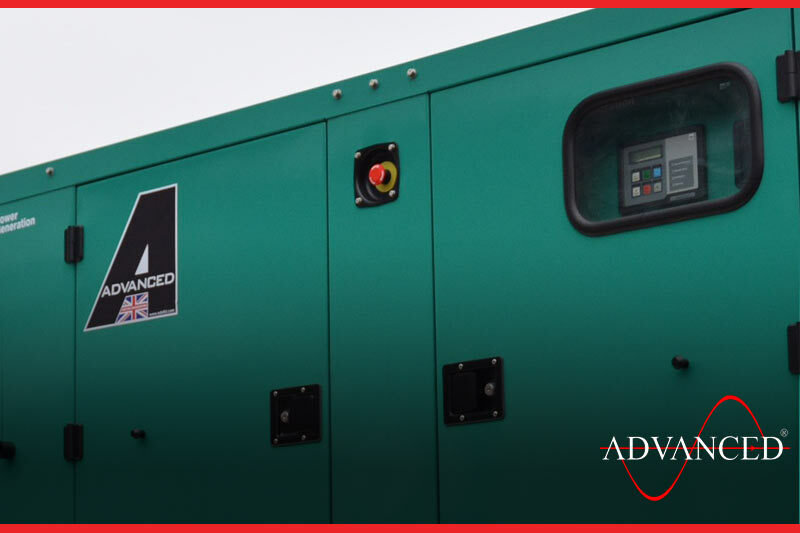 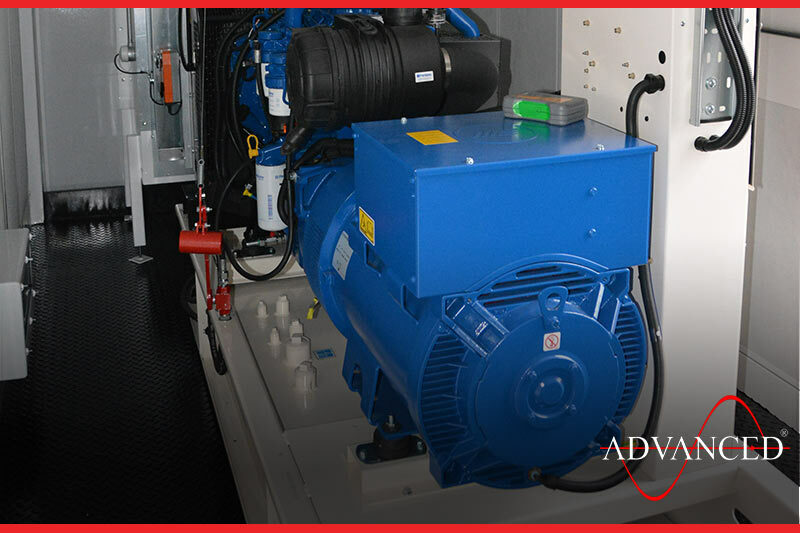 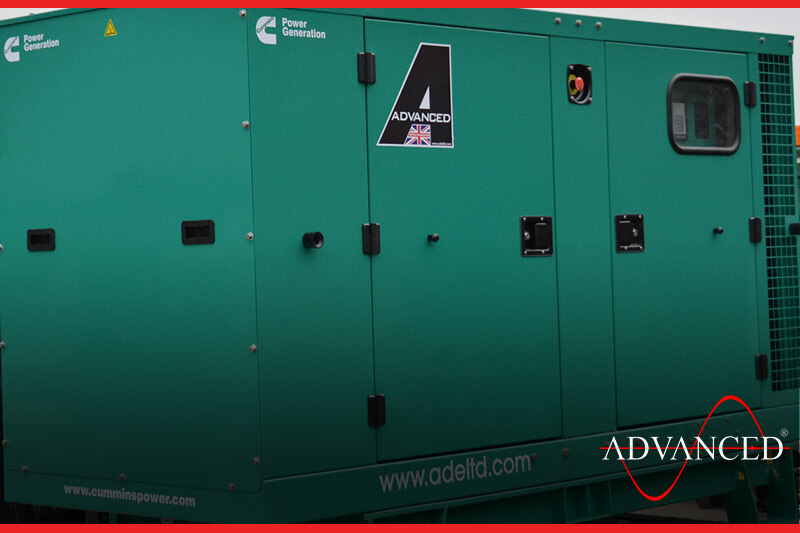 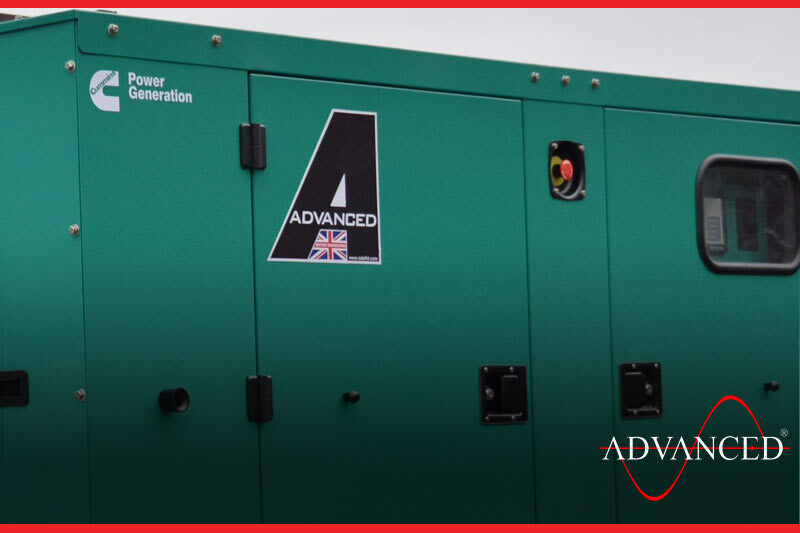 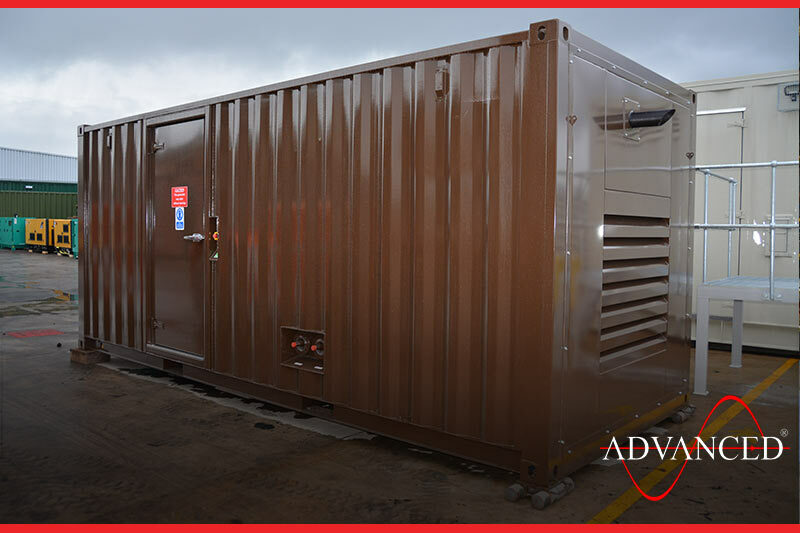 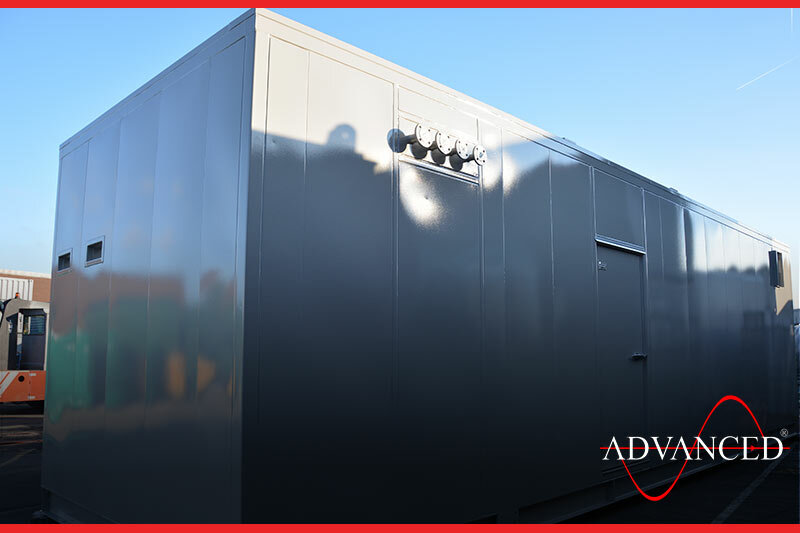 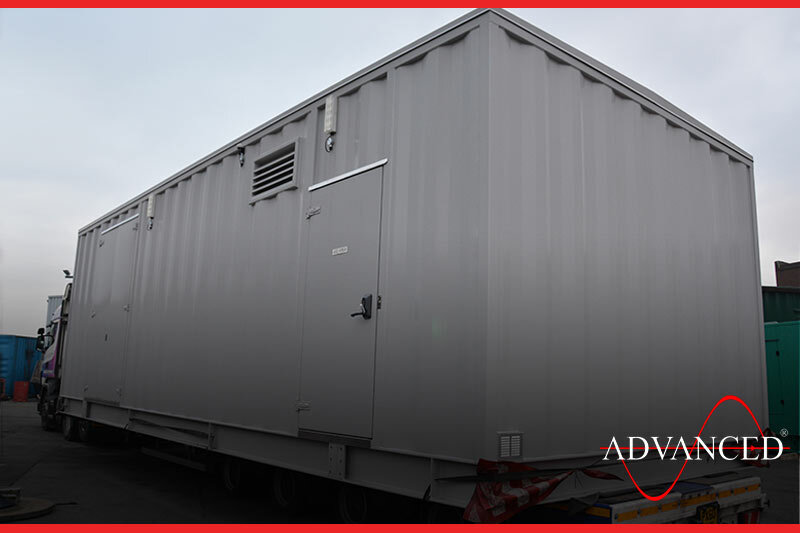 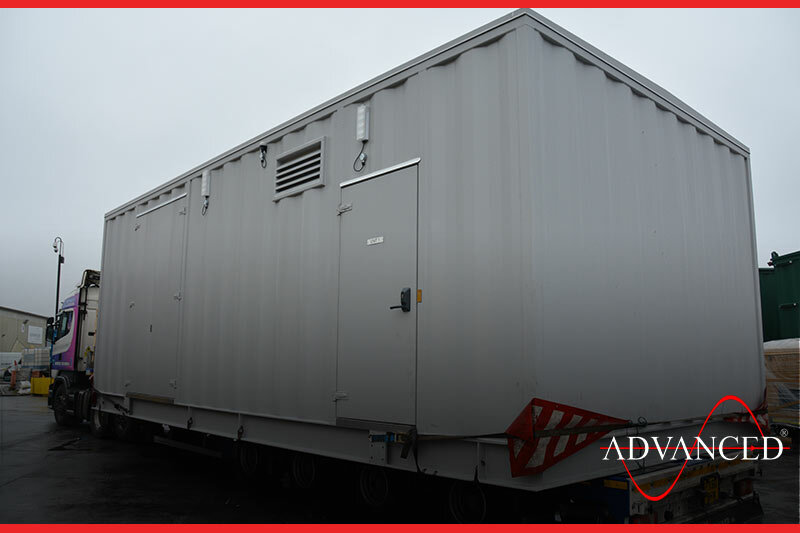 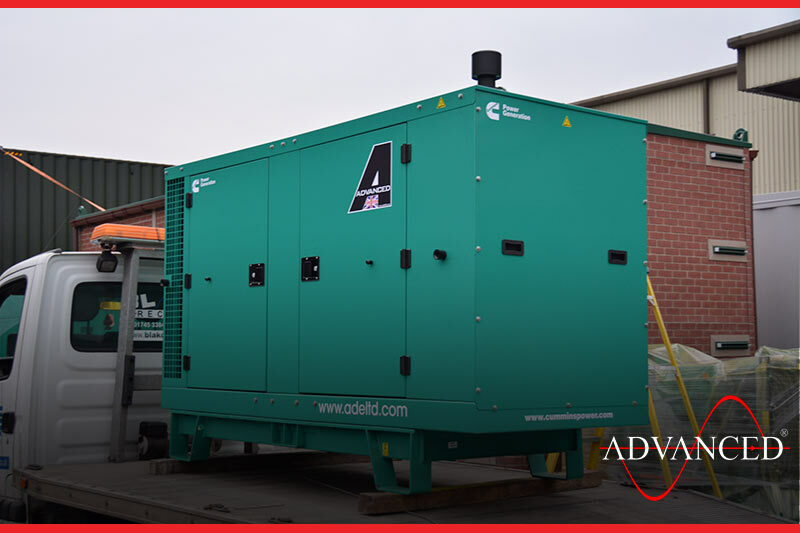 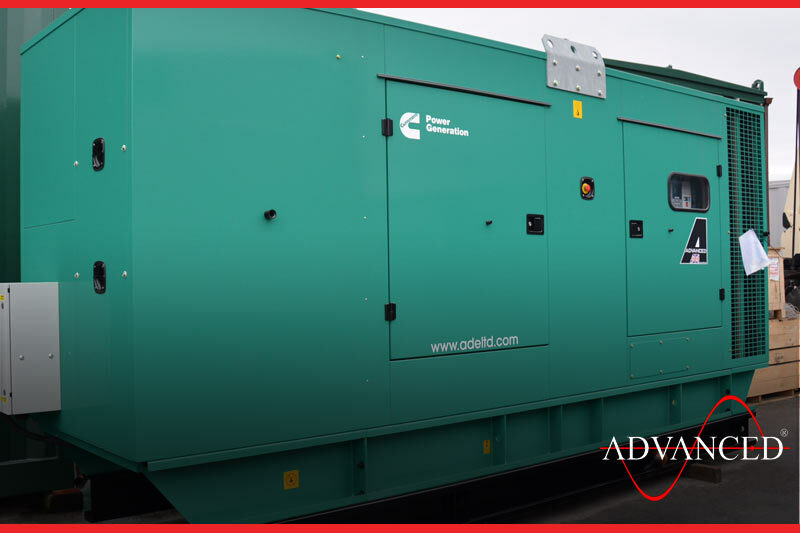 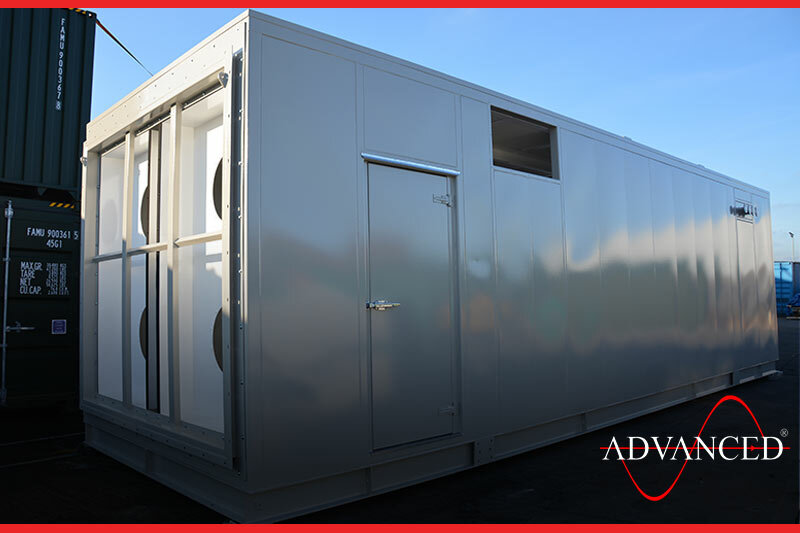 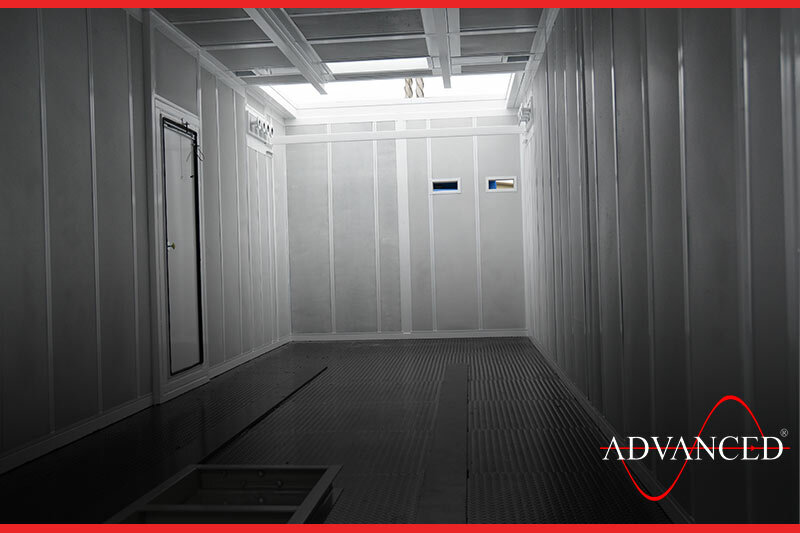 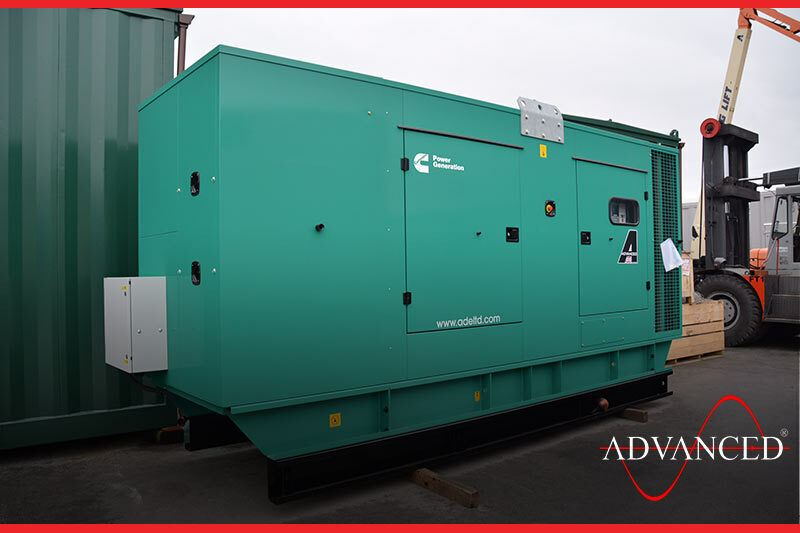 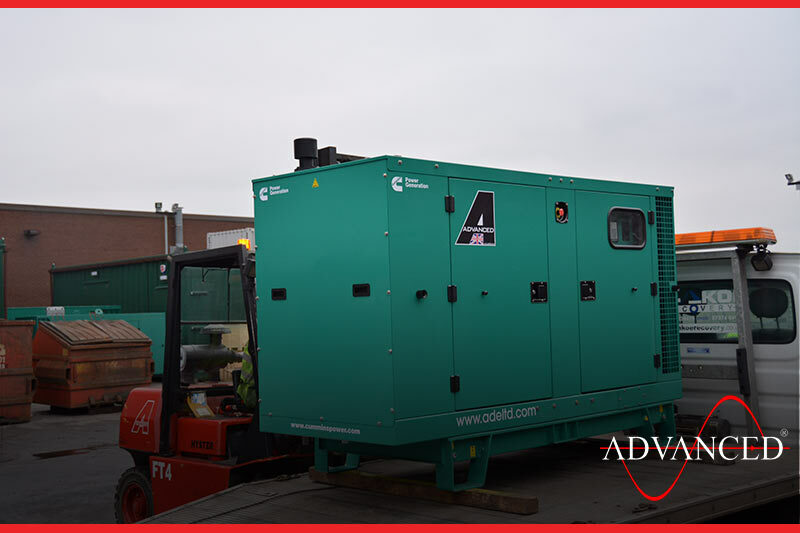 The generator will provide onsite power for a specialist asbestos removal company. 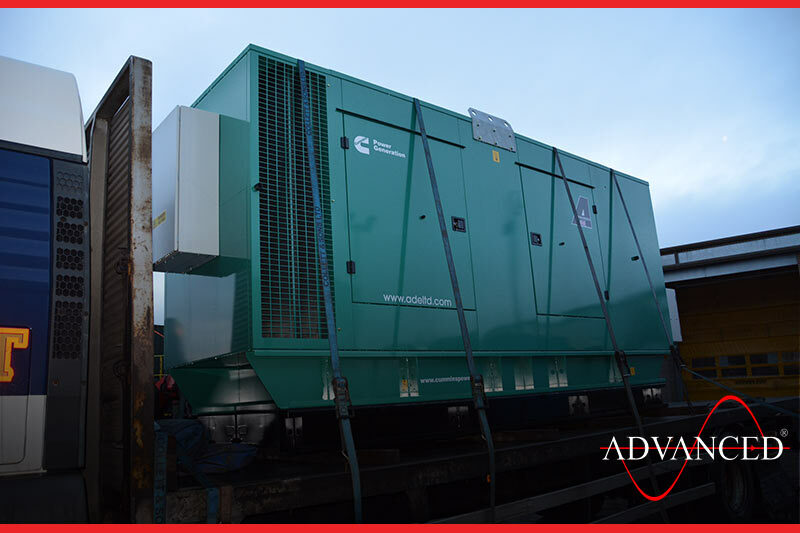 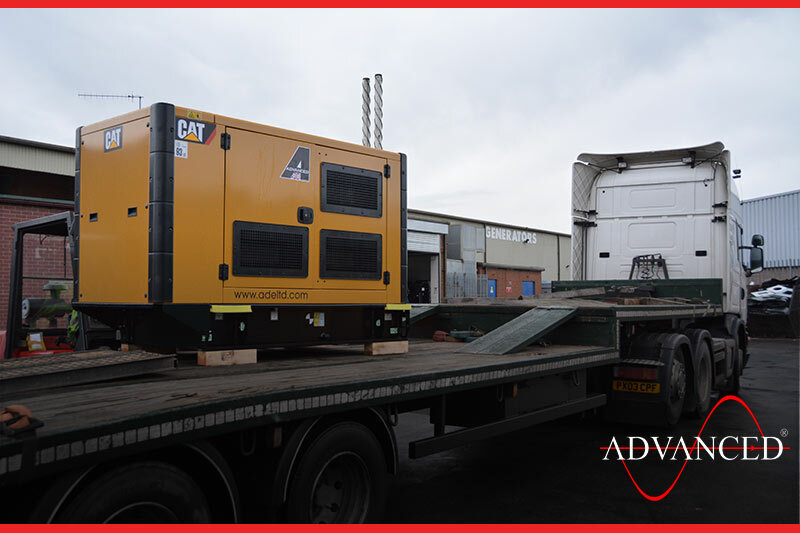 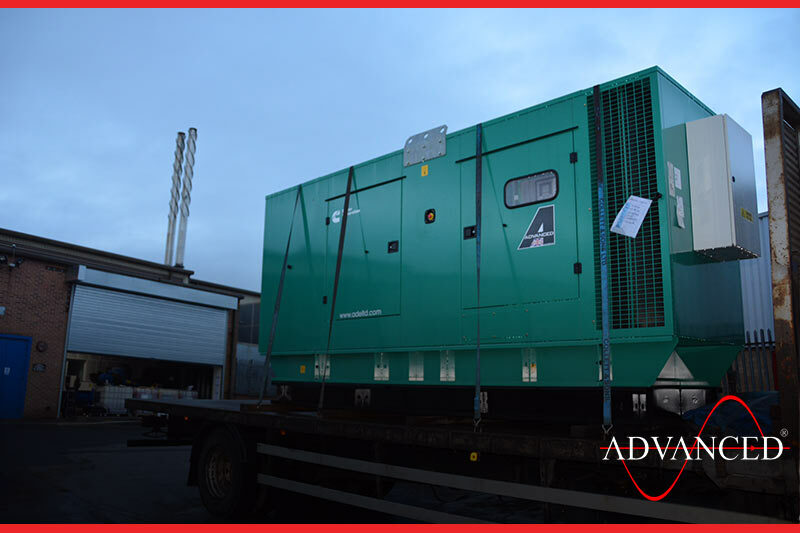 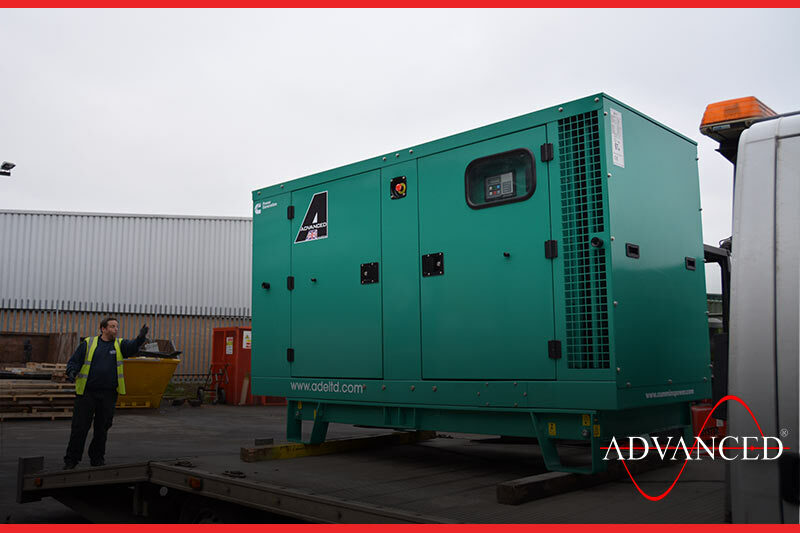 This Cummins 500kva enclosed diesel generator is being transported to Manchester to be installed at a new office building where it will provide whole building back up power in the event of a mains failure. 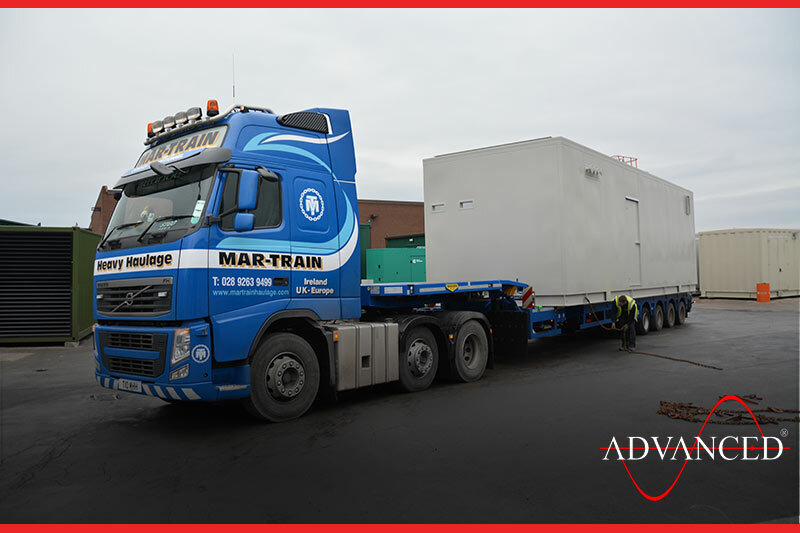 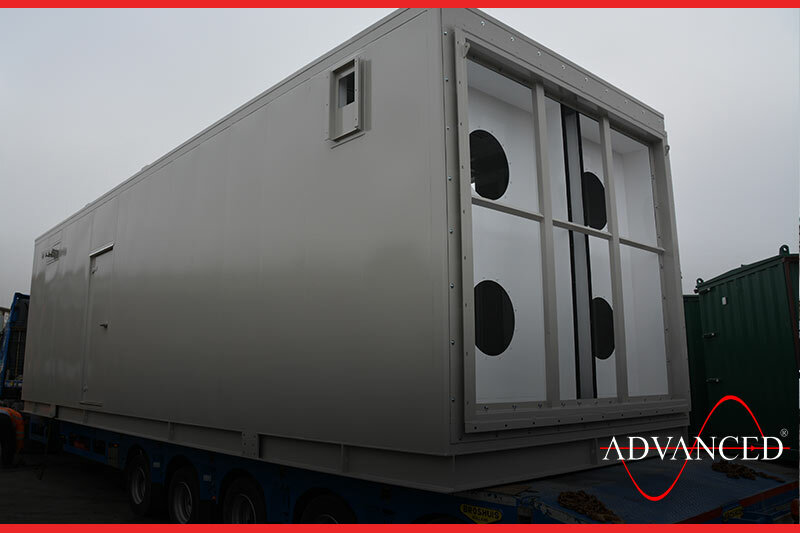 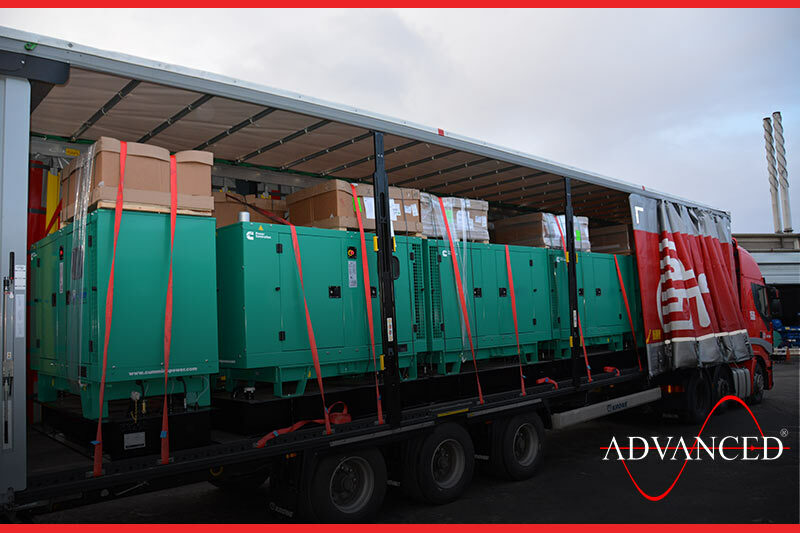 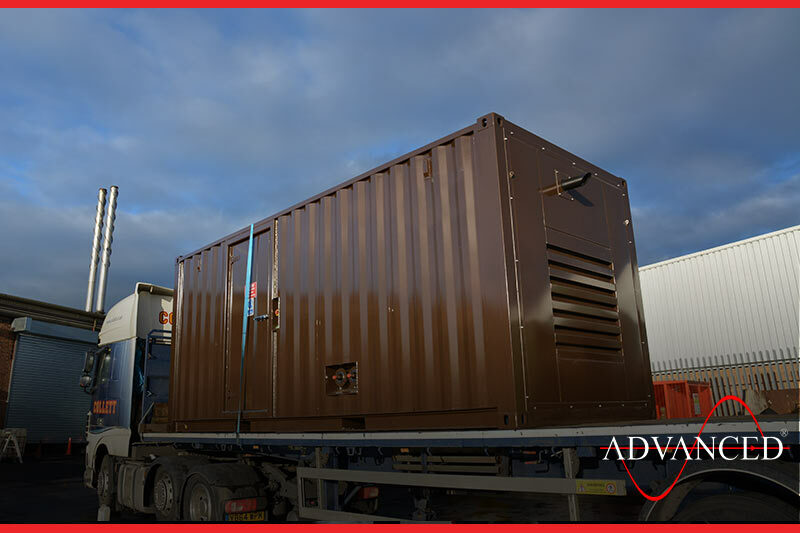 A packaged 150Kva Perkins leaves the works to be installed on site in Scottland. 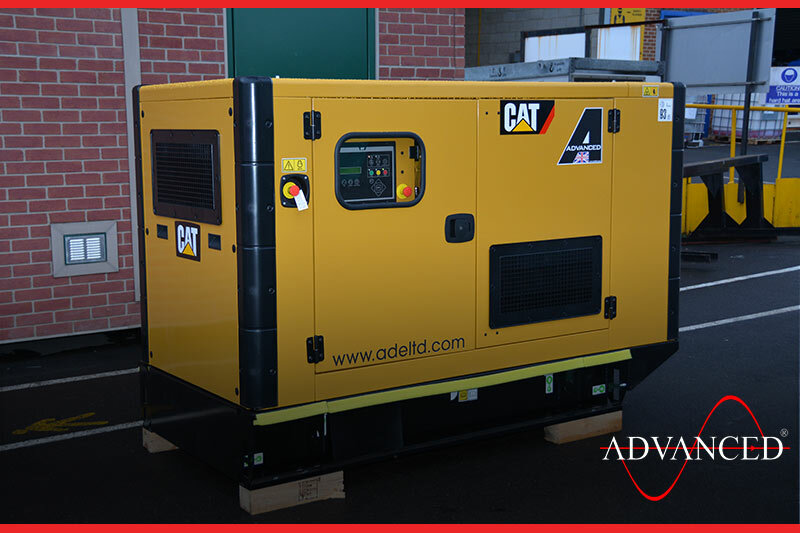 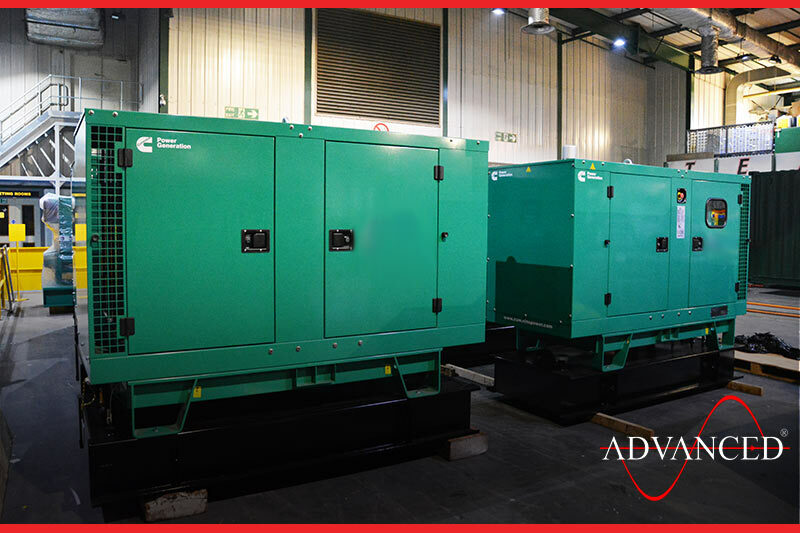 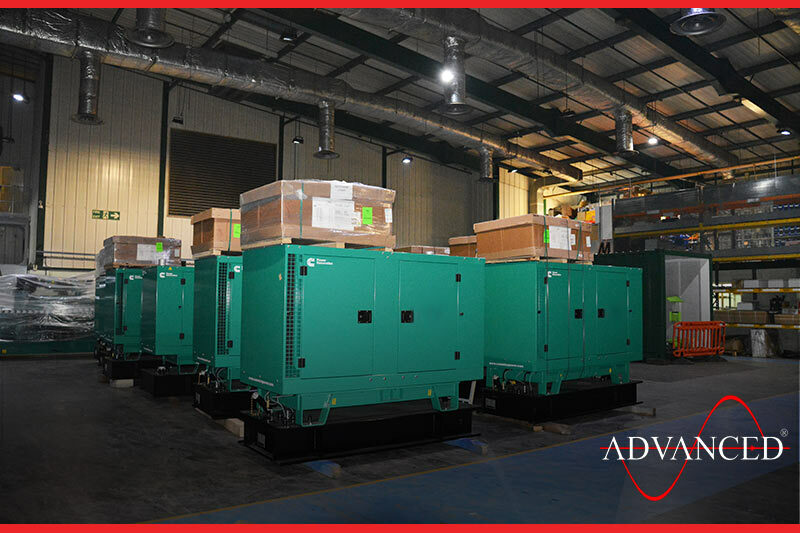 All packed up and ready to ship, these 11 Cummins 38Kva enclosed diesel generators c/w ATS panel and ADVANCED designed & built base fuel tank are being shipped to different state departments around the world. 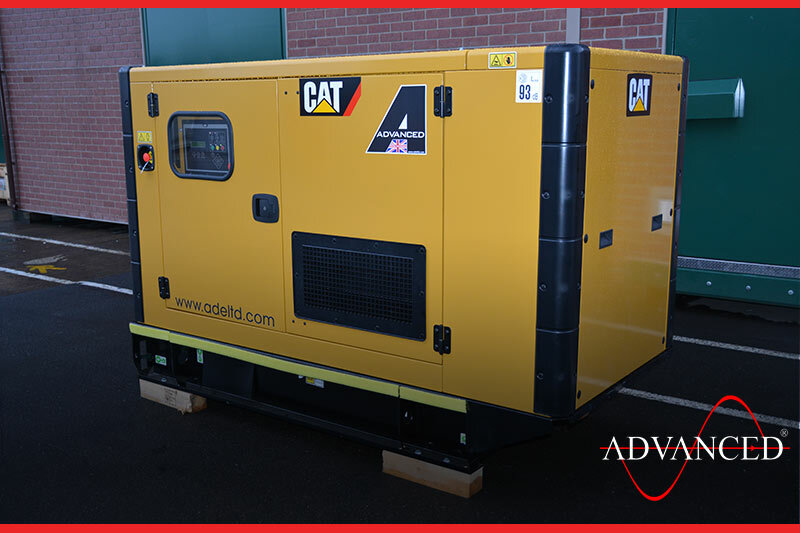 This Cat 65Kva enclosed diesel generator was supplied to a tree surgeon in Cumbria, the set will be used of prime on site power feeding the woodworking machines & shredders. 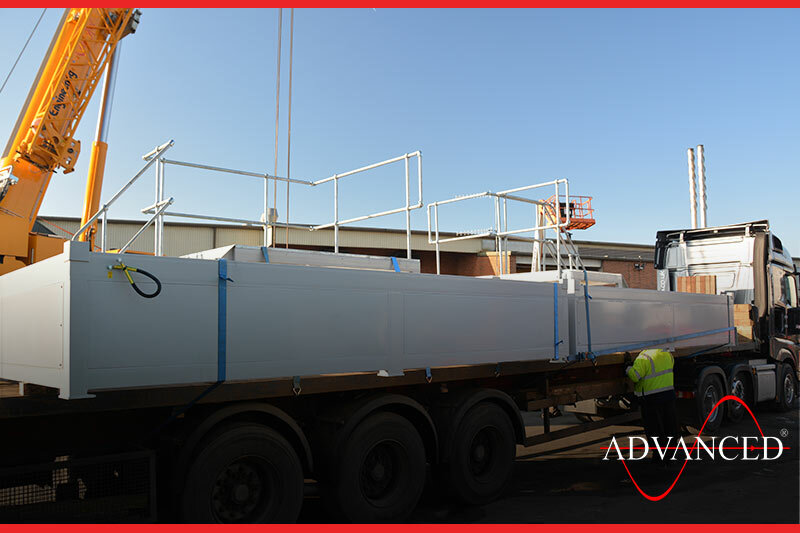 5 of 8 Box number five of eight leaves the works on time as planned.